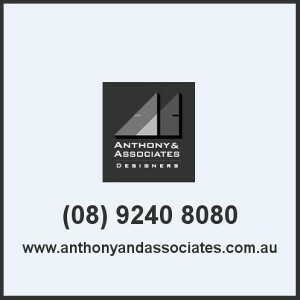 Anthony and Associates is one of the trusted names when it comes to Home extension design in Perth. For years, we have been the go-to authority when homeowners are looking into building an addition to a house. We deliver the best plans for home additions that cater to our clients’ need for creative and high-quality home improvements while providing them with the best customer experience that we can offer. We always apportion adequate time when it comes to designing a house extension in Perth that we will recommend to our clients. This is to ensure that we are able to address the concerns, preferences, and ideas that our clients provide to us as input. We want to make sure that, before the building an addition to a house commences, our clients have fully understood how the final product is expected to look like. We also make sure to let our clients know about the amount of time that will be needed to finish the project. We make it a point to finish the job on or before the deadline while delivering the highest quality of results. Throughout our years of experience, we have catered to and worked on a wide variety of plans for home additions and home improvement design. It does not matter how big or small you intend your home improvement project to be – we will make sure that you will get what you have always wanted. We will make the most out of the budget that you are planning to set aside and provide you with our professional advice on the decisions and choices that you will make. Anthony and Associates is unmatched in terms of expertise when it comes to home improvement services and home extension design in Perth. The years of experience have enabled us to develop the advanced skills, technical know-how, and the state-of-the-art equipment that will make our work more efficient. As such, we have received accolades from both our peers and our clients who recognize our unique abilities in building an addition to a house. What makes our plans for home additions so special? Perhaps the best thing that our clients will always remember about us is how attentive we are to details. We scrutinize every part of the project because we always work hard to impress our clients. We believe that listening to what our clients want is of utmost importance. After all, we want them to love the new part of their home. It is through actively listening and collaborating with the homeowners that we are able to find out what they really want, especially if they have no idea what needs to be done at first. 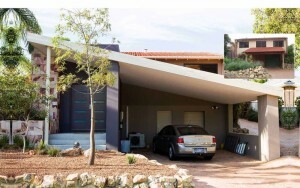 After our initial meeting, we will work with our team of experts to come up with the best Home extension design in Perth that will be most suitable for your home. Another thing that our clients love about us is that we provide fair prices to our services. We make sure that when building an addition to a house, we only use the best materials. We will always find ways to source the best materials for the project while sticking to the budget. Our clients are always satisfied when they finally get to see the finished project, and they are even more delighted whenever they find out that they have saved a lot of money. We can make your plans for home additions look like you just spent a million bucks, without you actually shelling out anywhere near that amount. We always take pride in how our Home extension design in Perth is capable of making their clients love staying at home more. They are always so proud of the investment that they have made, and they rave that every cent that they spent was worth it. The appreciation of their new and larger home is passed on from one generation to the other. What compels them to come back to us, you may ask. We believe that building an addition to a house is not just a means to an end. Unlike other builders and designers, we are not after the bottom line. We want our clients to have the most comfortable, if not the best experience that they can have while their house is under repair. If you have any plans for home additions, feel free to reach out to us. Our team of professional builders and designers are eager to make your dream home come to life.